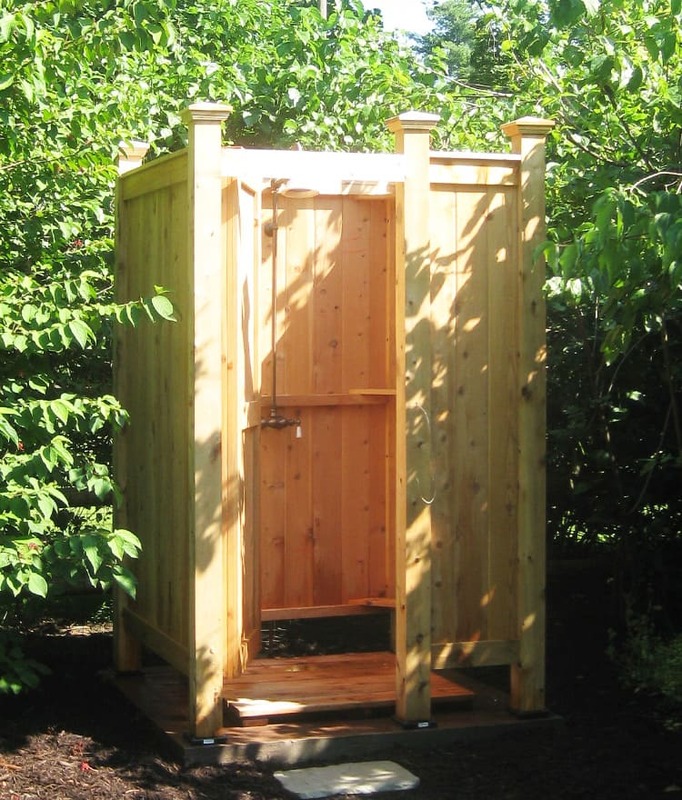 Our Standard Free Standing Outdoor Shower Enclosures offer standalone use. 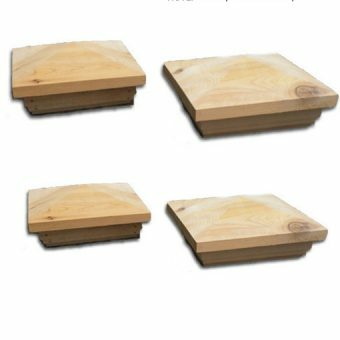 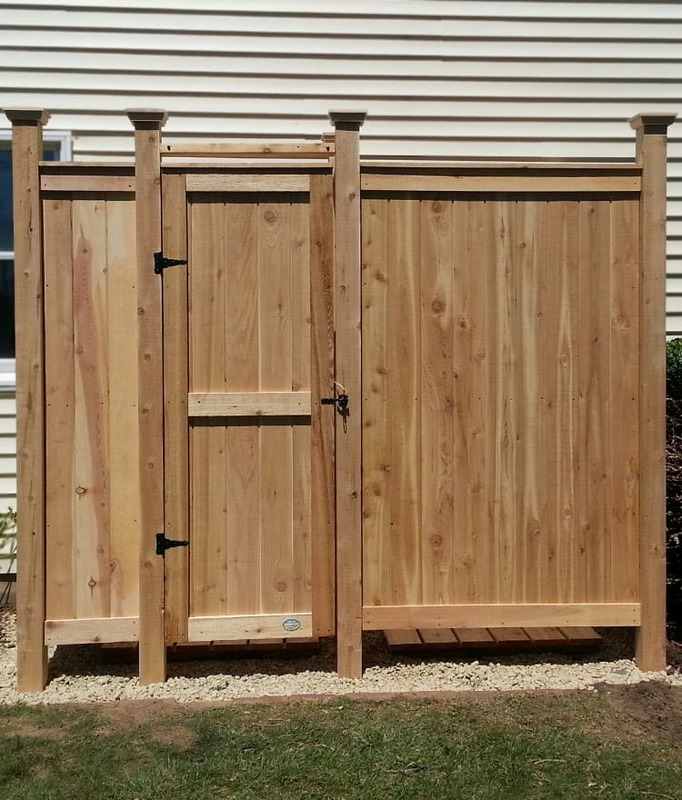 These cedar outdoor shower enclosures can be put anywhere or if you want that 4th wall against the house, this is your outdoor shower kit. 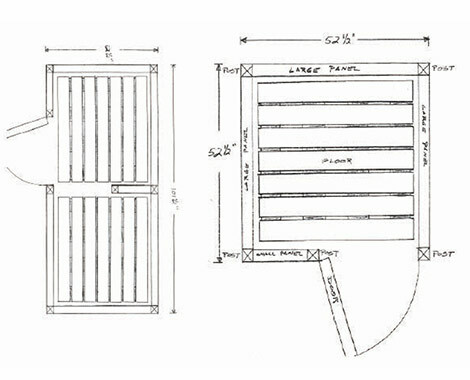 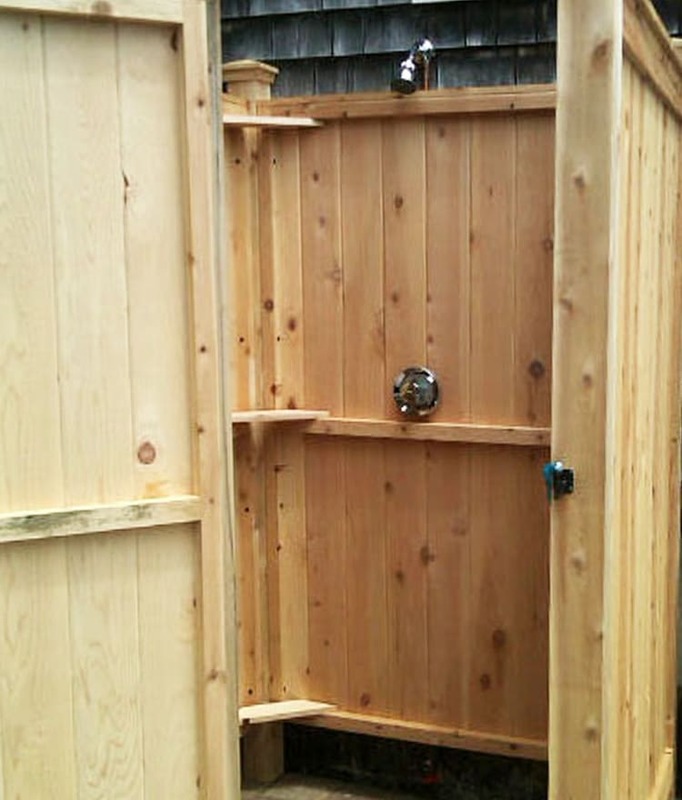 We craft our outdoor showers to be easy to assemble with all the necessary hardware. 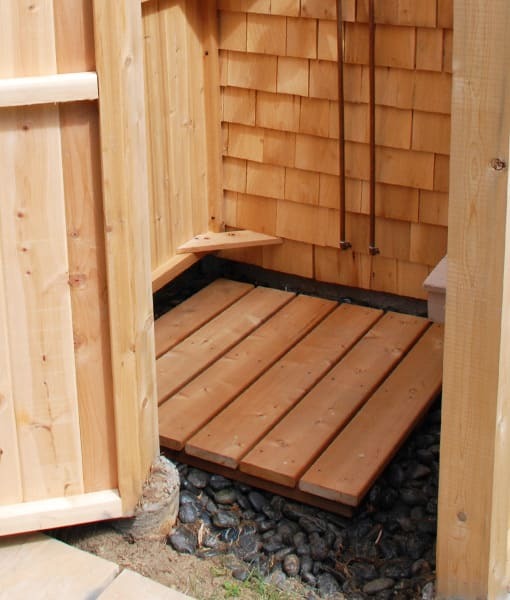 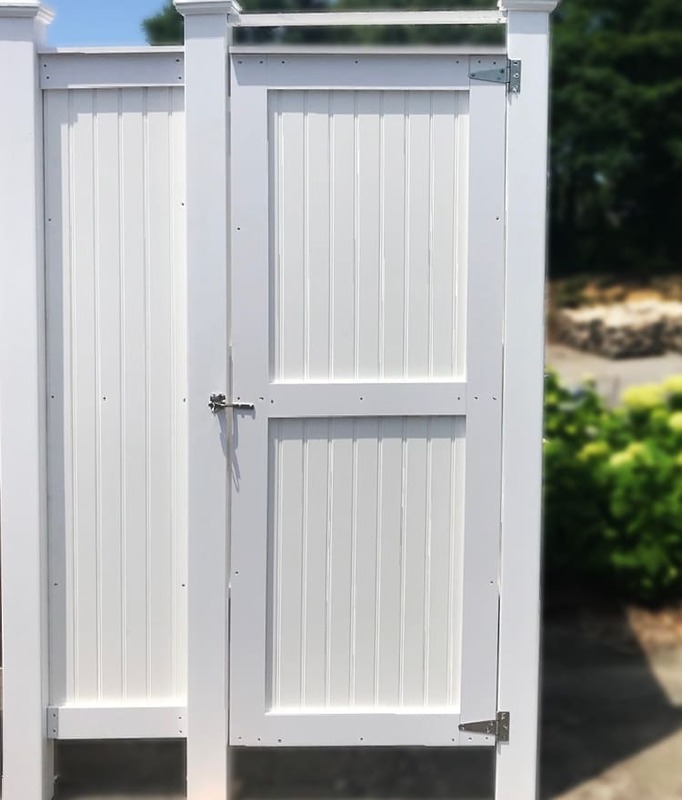 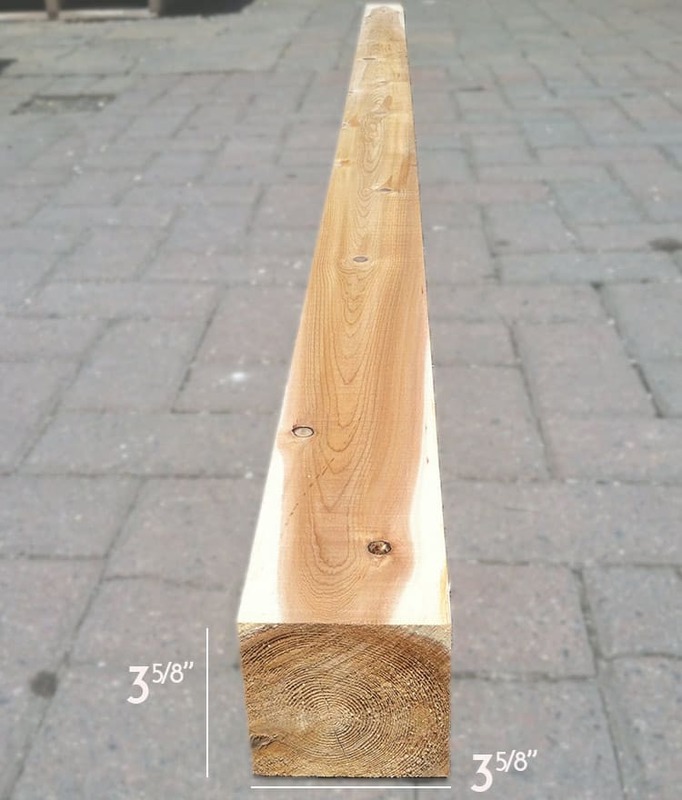 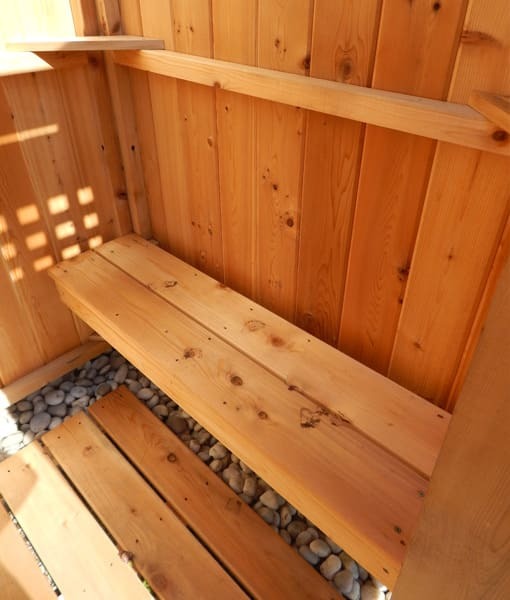 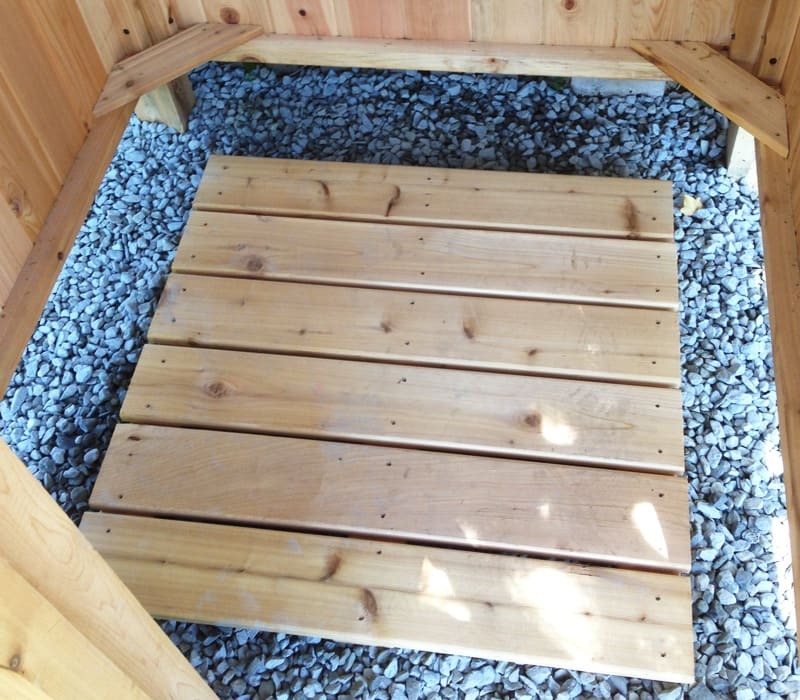 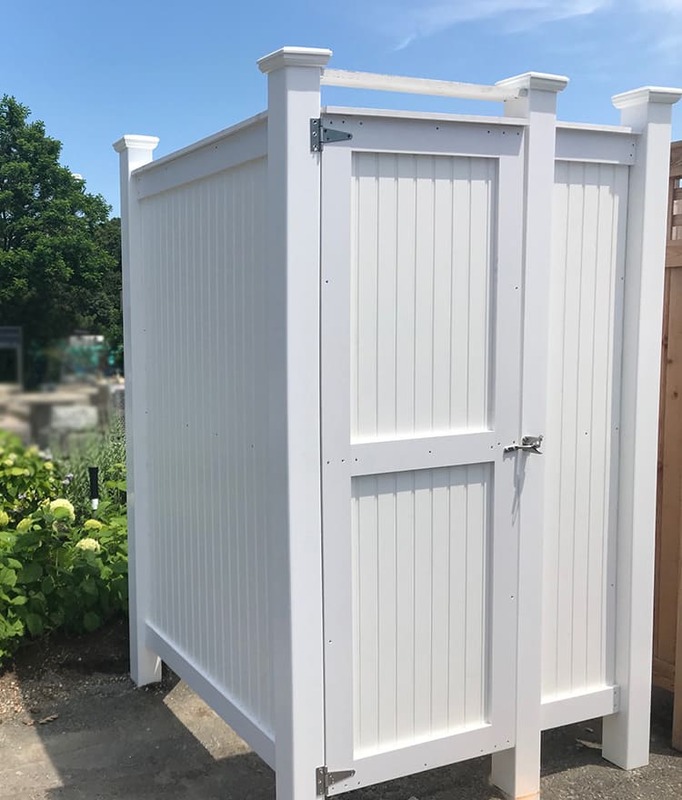 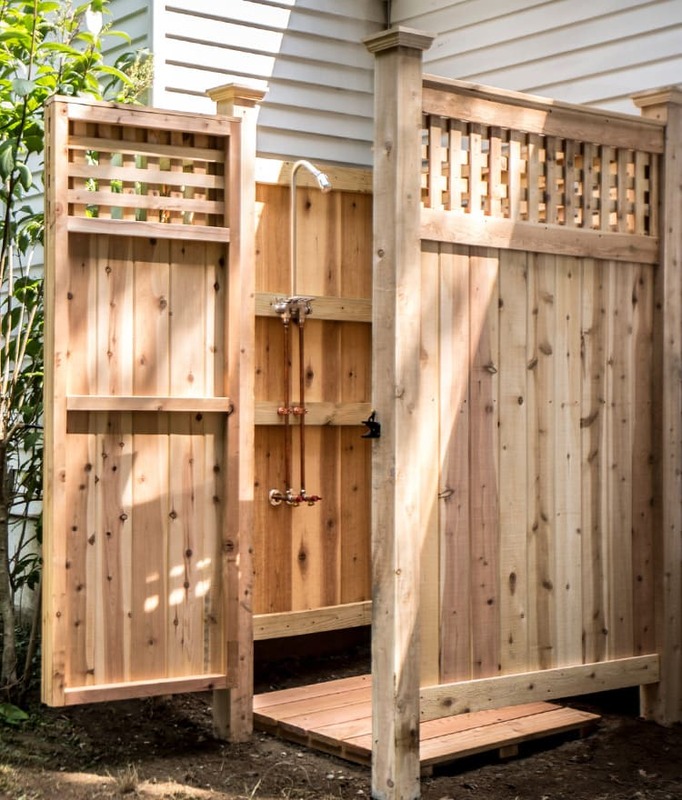 Constructed from long lasting, low-maintenance beautiful cedar, our outdoor shower enclosures are great for any home and climate installed in locations from Hawaii to Maine. 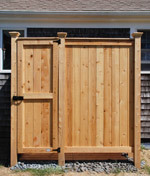 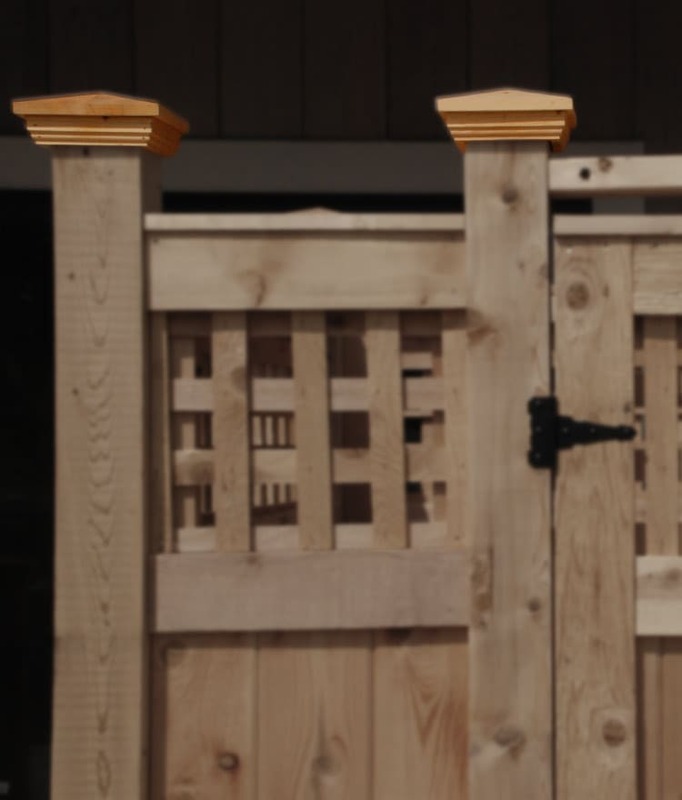 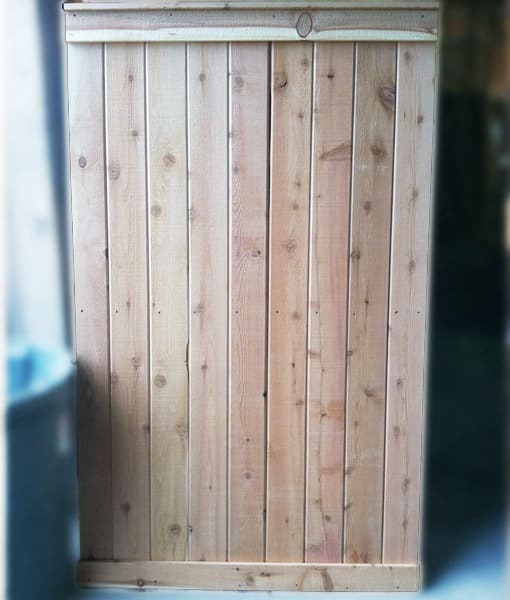 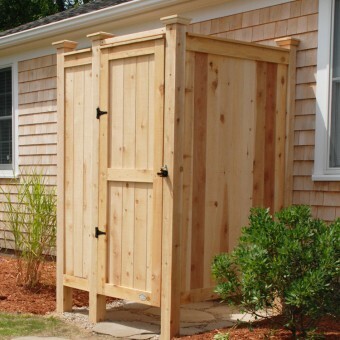 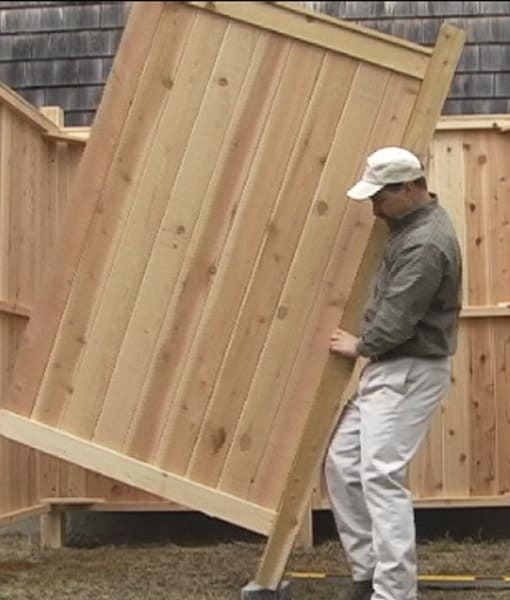 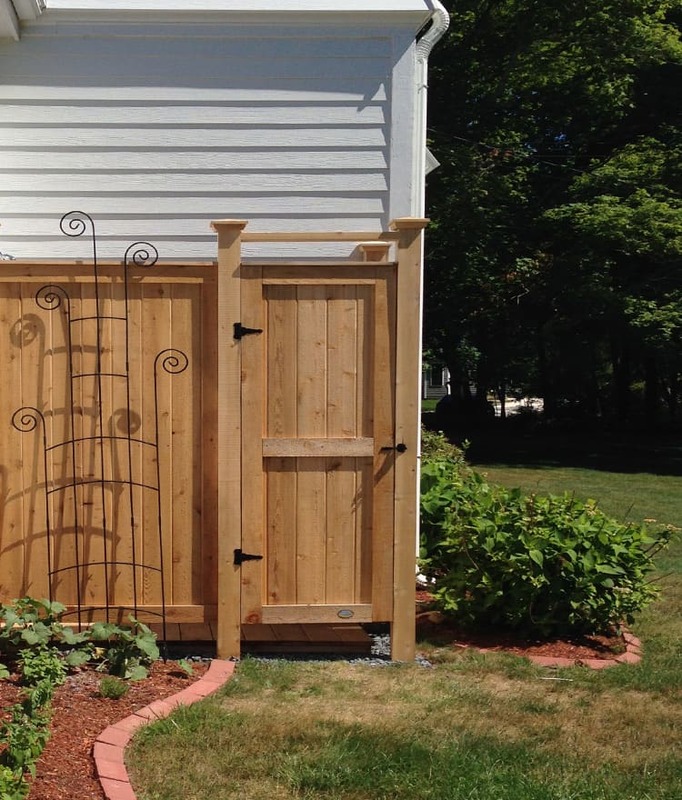 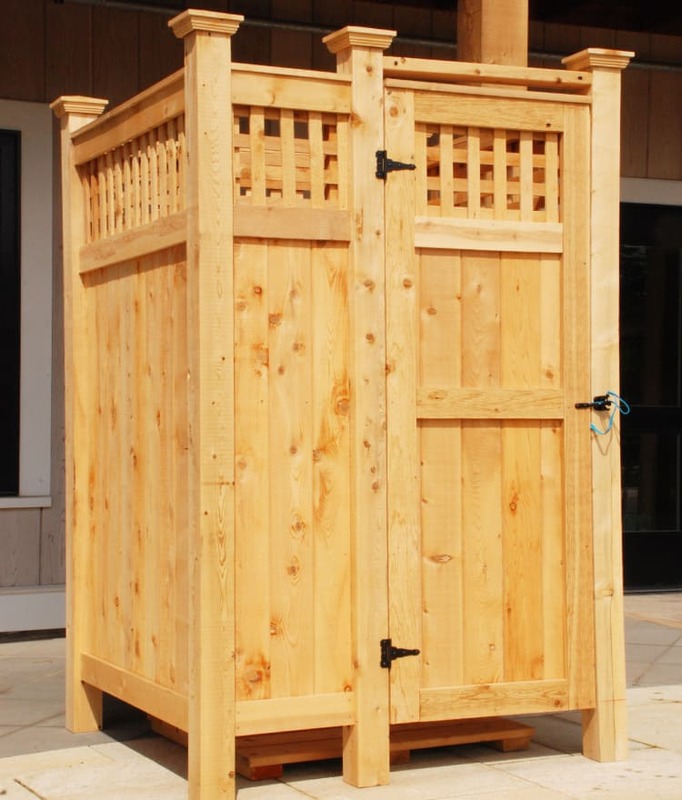 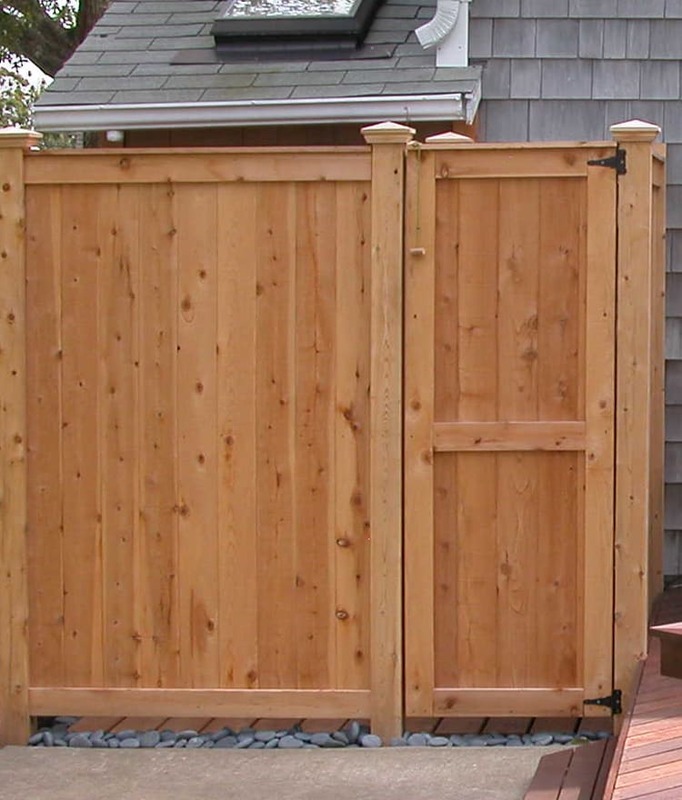 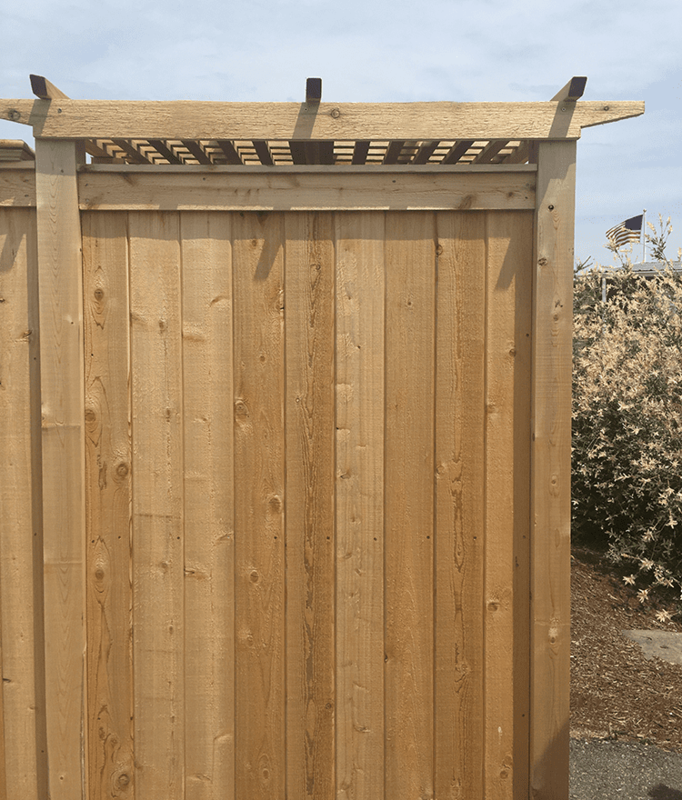 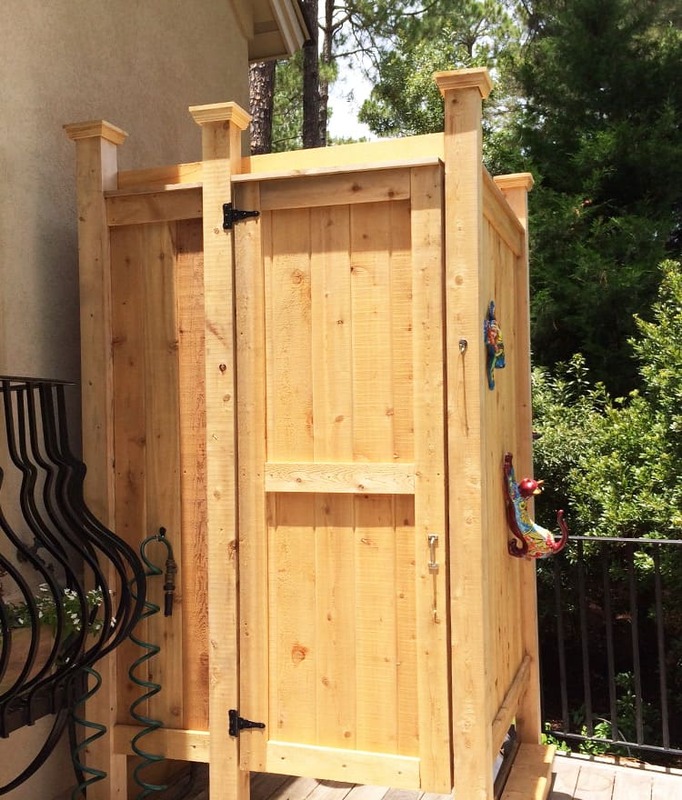 Standard Free Standing Cedar Outdoor Shower Enclosures offer 4 cedar walls for a full outdoor shower kit that can be placed anywhere – in-ground, against a house. 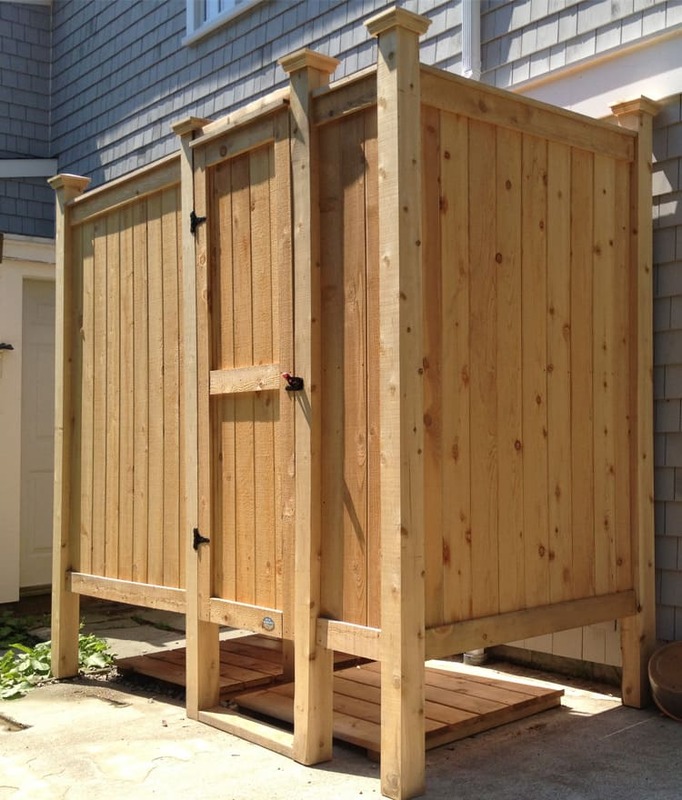 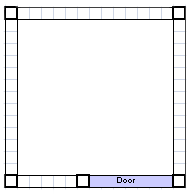 When you are choosing outdoor shower enclosures, make sure you choose the area that you want your outdoor shower to be placed by planning ahead. 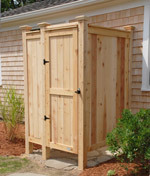 Many of our outdoor shower enclosures are set away from the house, near a pool, against a shed, and house. 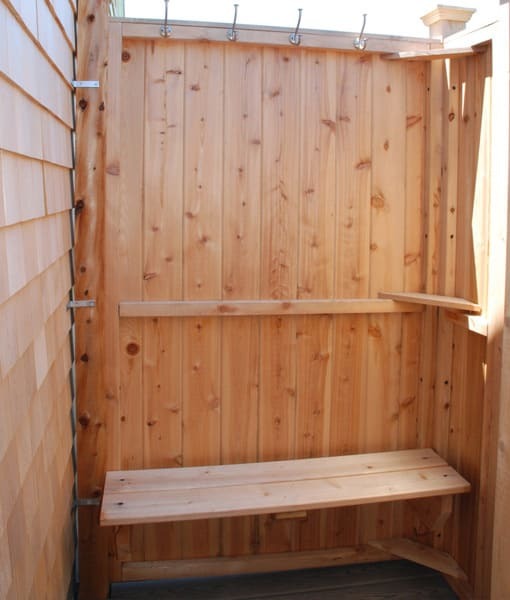 Accessorize your outdoor shower enclosure with a custom bench which can be used as a seat or a shelf! 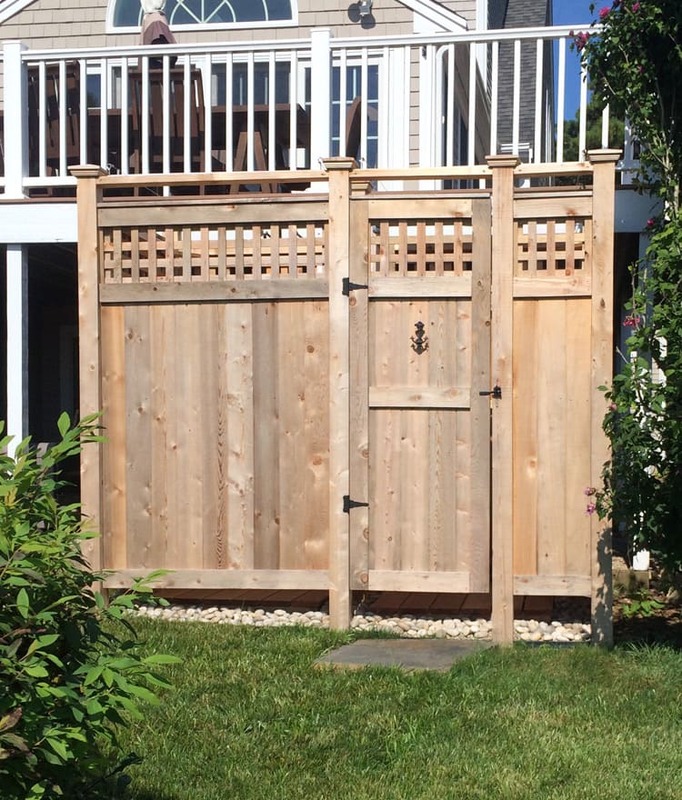 New upgrade! 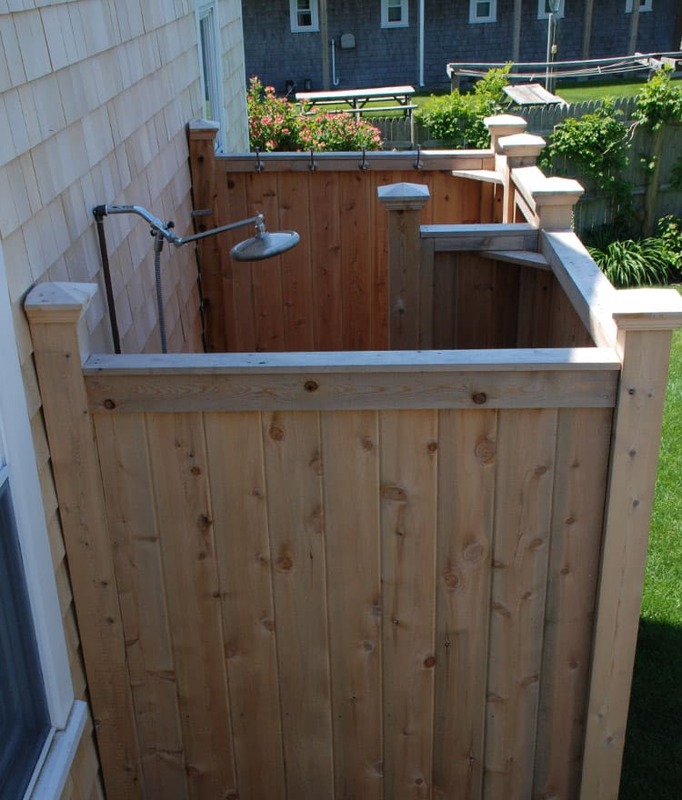 Add another level of style to your outdoor shower enclosure. 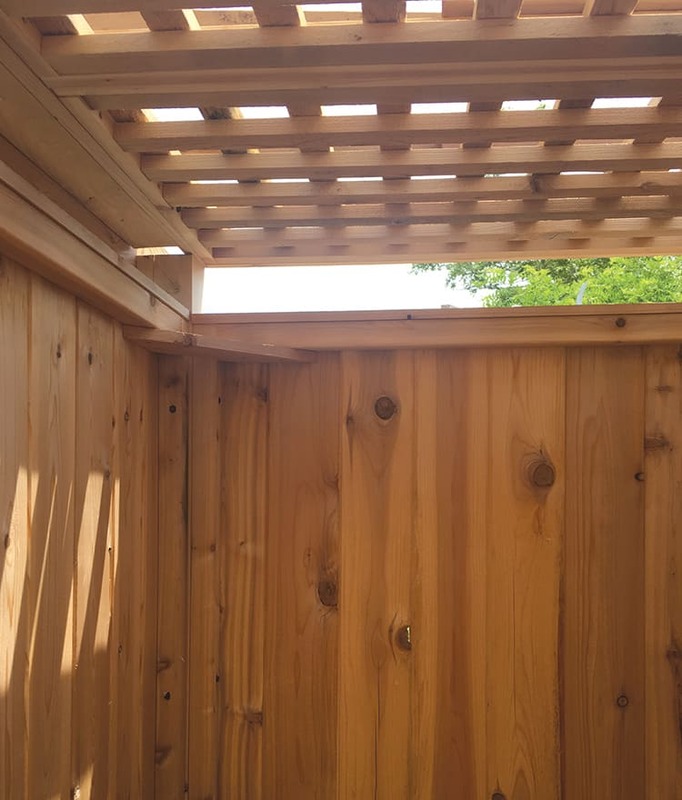 Upgrade to lattice by selecting the option above. 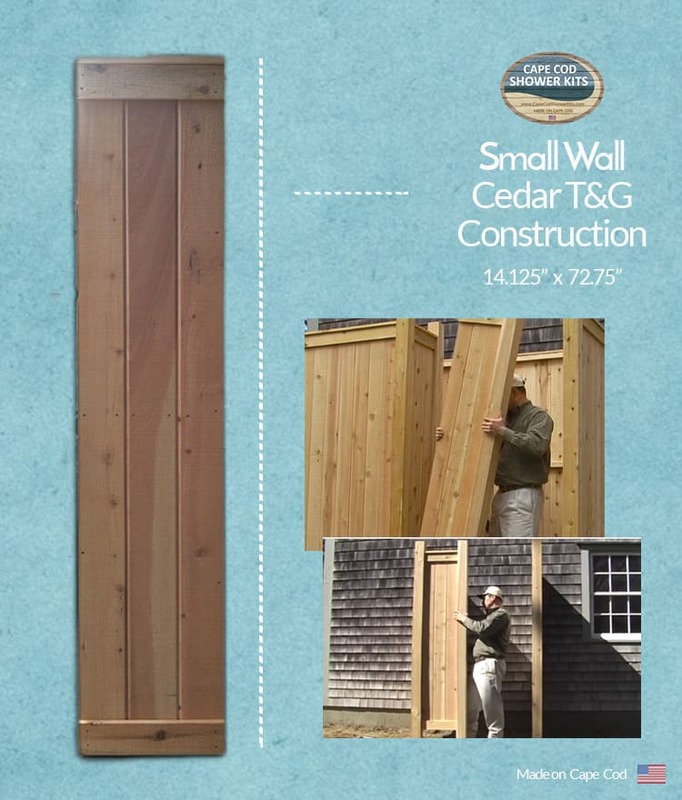 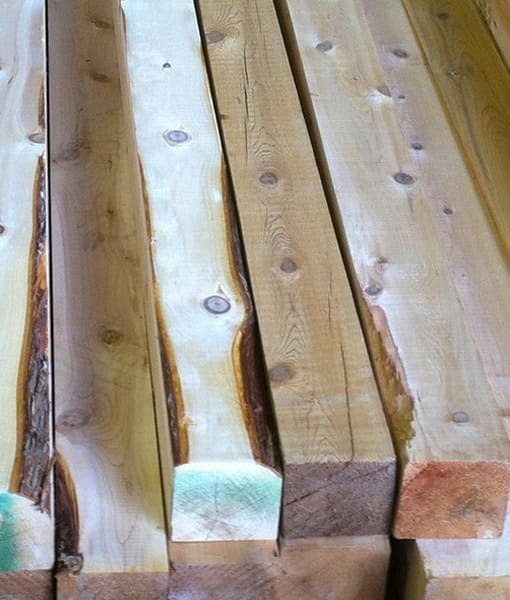 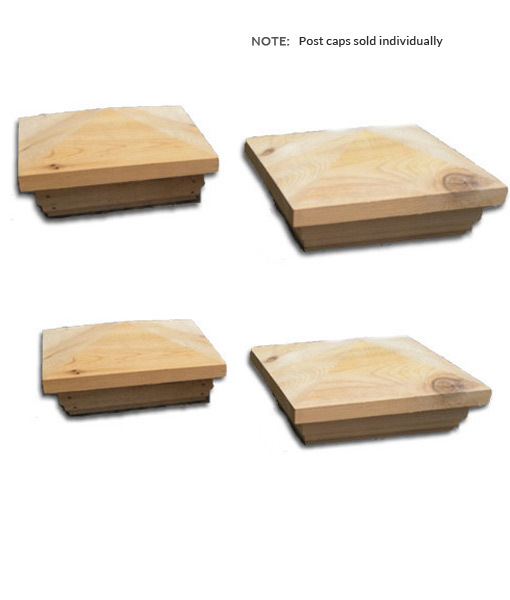 Available only on cedar kits.